HOW DO OUR CORE VALUES AFFECT YOU? Since 1980, Stevens Transport has remained the largest family-owned and operated trucking company in Texas. Family is a top priority at Stevens and those values are integrated into everything we do, every day. With no layoff in our company history, our employees can focus on what’s important and ensure their job is secure. Our award-winning service and reputation paired with exceptional equipment and resources provide numerous opportunities to achieve success company-wide. Valued by a wide range of Fortune 500 companies and consistently recognized for an unparalleled on-time service record, the specialized nature of temperature-controlled logistics places Stevens Transport among the most elite contributors to the modern supply chain. Whether your company needs intermodal, international, or expedited transportation services, Stevens Transport can service you with the most advanced systems in the industry to guarantee substantial coverage, capacity, and flexibility to suit your every business demand. Beyond capacity-driven operations, Stevens Transport injects an unmatched integrity into a corporate business model that reflects more than 35 years of consistent growth and success. 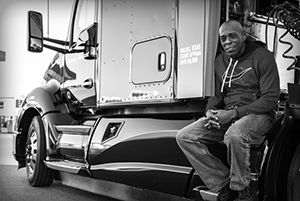 As “America’s Trucking Family” and one of the nation’s premier employers, we pride ourselves on promoting a people-oriented and positive work environment that supports continuous growth on and off the road. Competitive, Innovative and Fast Paced. 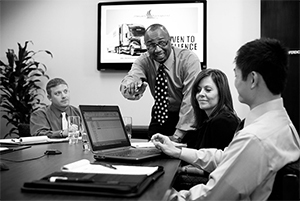 Stevens Transport's superior service and reputation provide company-wide job security and career advancement opportunities. As a leader in miles per load, Stevens Transport offers our drivers more miles, making them among the highest earners in the industry. Learn more about joining our team.